Ms. Wojcik joined HRiA in 2016 as Budget & Contracts Director. She has over 20 years of experience in project-based finance and operations, along with additional expertise in human resources and marketing. She has spent her entire career in the fields of medicine and healthcare, and became interested in public health after learning about quality improvement methods and how to make change at scale. 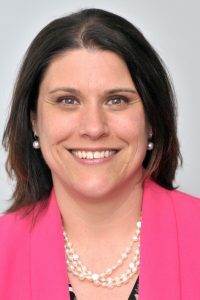 Ms. Wojcik has a Master of Business Administration from the Isenberg School of Management at the University of Massachusetts-Amherst, and a Bachelor of Arts from Western New England University.